It’s hard to find a great job. It’s even harder when the resume you believe is helping you is secretly working against you. You might think you’ve found the best way to represent yourself and your talents, but recruiters and HR managers are looking for a specific set of things. By taking their priorities into consideration when you craft your resume, you’re improving your chances of getting the job you want based on the way you appear on paper. You might have a lot of things you want to cover in a resume, but creating an epic novel allows the relevant details to get lost in a wealth of unnecessary information. The person you’re sending your resume to receives stacks and stacks of resumes every day. It wouldn’t be possible for them to read every long length resume that finds its way to their desk. Do them a favor. Shorter resumes show that you’re considering the time and priorities of the recipient. This consideration is unlikely to go unnoticed. Your five years of foodservice experience is relevant to jobs in the foodservice industry, but if you’re applying for a position in a tech heavy sector, it may not make much of a difference. If most of the experiences, awards, internships, and educational experiences you have don’t demonstrate your ability to succeed in the position you’re applying for, trim them out of your resume. You can list the position with dates to show there aren’t any substantial gaps in your resume, but you don’t need to highlight and detail irrelevant factors of your professional history. The post that lead you to the available position likely came with a comprehensive job description. The position and its qualifications were explained, and a lot of specific keywords were used. Using this job description to influence your resume will show your commitment, even before you have a chance to interview with the team. The person reviewing your resume already knows what they’re looking for. If you can make the right words jump off the page, you’ll be sorted to the top of the stack much sooner. Bragging involves some sort of untruth or exaggeration. If you won a prestigious award or were recognized for being the best at what you do, put it on your resume. People often glaze over their major accomplishments out of fear of seeing arrogant. Your resume isn’t the best place to be graceful and humble. If it can be proven that you possess a highly desired skillset, mention it. Companies may even be willing to pay you more to keep you loyal. Mention your best qualities whenever they can be backed up with facts or documentation. It’s not petty if it’s the truth. Smart people know when to tone it down. Being wordy or using your resume as an exercise in vocabulary likely won’t get you far. Getting the point across in as few words as possible is a skill. It shows that you’re effective, concise, and productive. These are qualities that nearly every employer is looking for. Cut to the heart of a matter – secondary details and descriptions aren’t necessary unless a key piece of information needs to be placed within a larger context. Even still, try to avoid using more words than necessary. Getting right to the point is a better usage of time, money, and resources. The person reviewing your resume will appreciate how direct and concise it is. 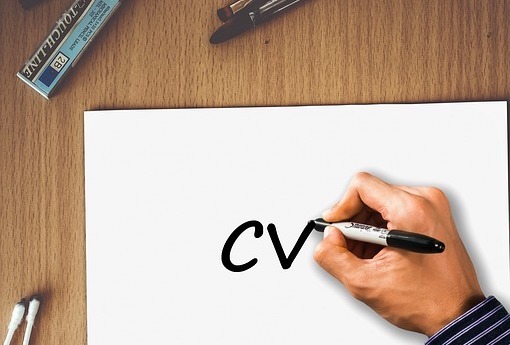 While it may not be possible to craft a single perfect resume guaranteed to get you hired for any position, it is possible to create the perfect resume on a case by case basis. As long as you’re willing to put in the time, your efforts won’t go unnoticed.